To hear the words Barbados, birdie and eagle in the same sentence may seem odd, but to the pert ears of those in-tune with the sport, it undoubtedly screams golf. Beyond the bewitching beaches that coerce you to stay waterside when in Barbados, there is another world lying in wait that presents grandiose greens, fantastic fairways and pesky bunkers. 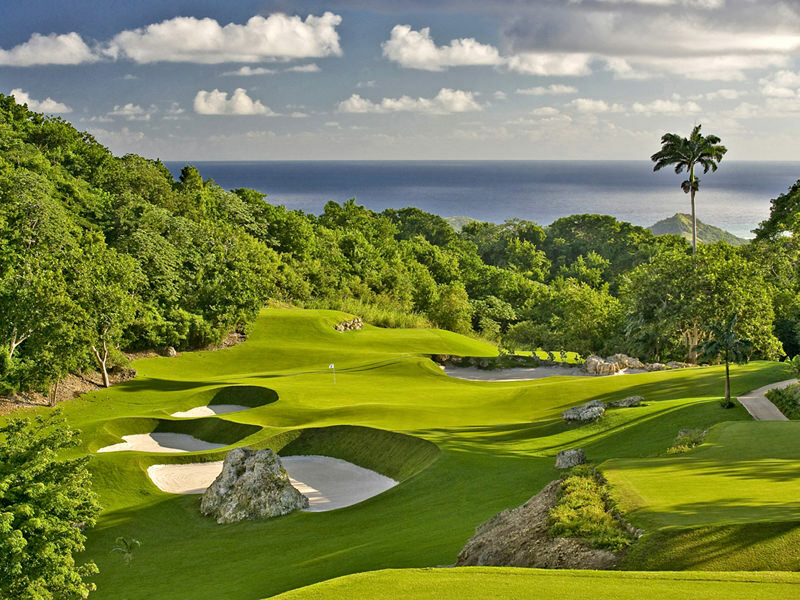 There isn’t a truer case of this than on the west coast of Barbados in the parish of St. James, where tee time is any time at three of the most prestigious golf spots on the island - Sandy Lane, Royal Westmoreland and Apes Hill. Closest to the coast is the jaw-dropping Sandy Lane estate, which is known not only as the retreat of the rich and famous, but also the home of three top-notch golf courses: the famous Old Nine, the Country Club and the Green Monkey golf courses. With three distinct charms, each course has its devout group of followers. The Old Nine, which is a rendition of the original hotel golf course constructed in 1961, is a 3,345-yard, 9-hole experience, which gives a feeling of whimsy as you putt along tree-lined borders. The second option is the Country Club golf course, billed as a challenging 72-par, 7,060-yard course and the former venue of the World Golf Championships Barbados World Cup. 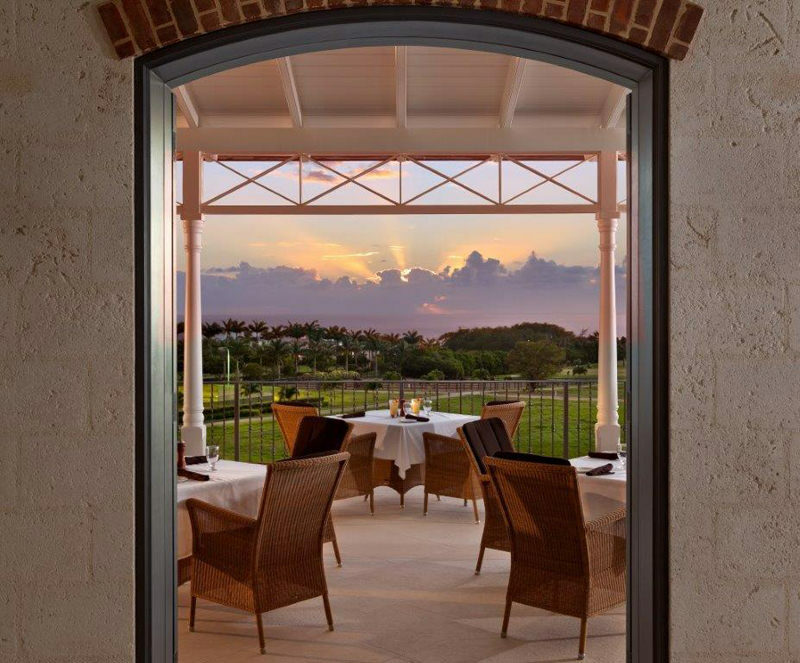 The Country Club represents the genius of Tom Fazio, who designed two of the three courses of the estate. 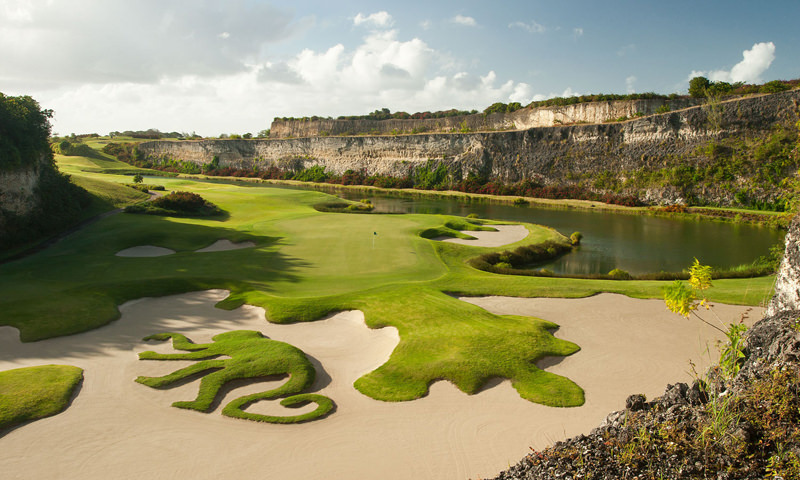 Finally, the most exclusive of the Tom Fazio creations - the Green Monkey course - is a 7,343-yard course accessible to resort guests only, and charms not only with its stunning views of the coast, but the coral stone rock faces that are the remnants of the limestone quarry it was in its heyday. Get to know more about the Sandy Lane Estate by reading our suggested articles below! A bit northward from Sandy Lane, and further inland, another popular and regal name within the golf fraternity rises from mother nature’s landscape. 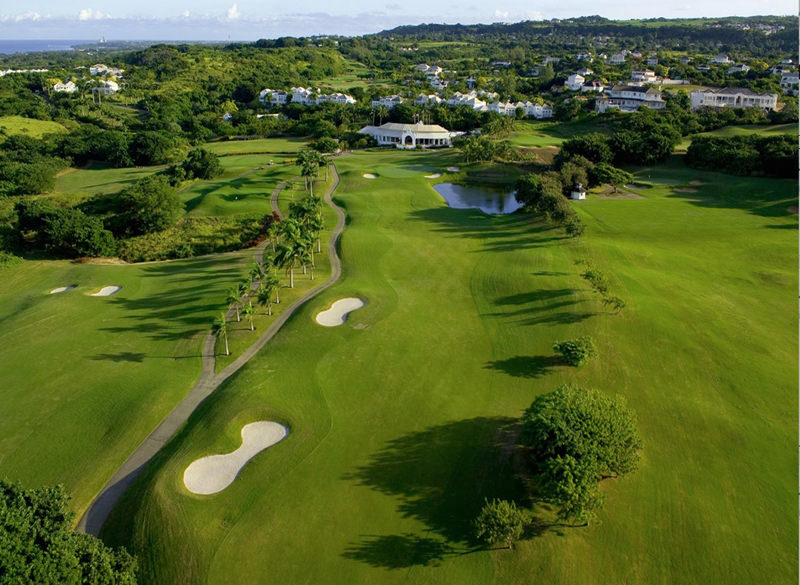 The Royal Westmoreland golf community, which boasts being the first such community on Barbados, wears the badge of best international golf development as announced by Bloomberg magazine in 2011. The 7,045-yard Robert Trent Jones Jr. design is considered a challenge for those that indulge in a round, thanks to prevailing winds and surging greens, which makes the golf experience here considerably demanding - but a definite must! Read more about the Royal Westmoreland Golf Community after the jump! Although locals tend to associate this name with the polo estate, the newest course on the west-side golfing block is located at the magical Apes Hill. Found away from the coast at an elevation of 1,000 feet, the course comes complete with greens and fairways that are sure to inspire your inner professional and incredible views of the island’s waters in the northern and eastern distance. This gem of a course is 7,150 yards, and to make the experience even more compelling, Apes Hill will unveil its new Country Clubhouse this December that will offer utmost luxury and comfort for its members. The clubhouse will be the first of its kind in Barbados, and will feature upgrades to existing amenities, as well as brand new features. The clubhouse views will be as captivating as ever, and the staff even more eager to create a dreamy golf experience. Although we are committed to keeping our promise of not spoiling the surprise, what we can say is that it promises to be absolutely amazing! Want to explore the Apes Hill Golf and Polo community more? Then you may like this article on the Apes Hill Club! Therefore, in addition to the on-course experience, these courses all offer the best clubhouse experiences you could ever want. Delectable dishes, vibrant views, amazing atmospheres and attentive, courteous staff - pretty much everything you could ever need to cap off the perfect golf day in the ritzy west! Need a golfing holiday right now? Head on over to Blue Sky Luxury!